Pivot+design is no longer in operation. We suggest visiting Unbranded Space for your web design needs. We produce our best work when we get inspired by our clients. The way we get inspired is to talk to you to learn about your business and also your ambition and aspiration about where you want your business to be. At pivotplusdesign our 3 word mantra is "Integrity, Quality and Originality". In Integrity we are honest and open about expectations and how we aim to achieve your vision and goals. Quality is manifest in every aspect of our work, from the excellence of our designs, through to currency in compliance with web and other operational standards. Originality is what flows through our blood and we aim to make every design unique without compromising on standards. The service we offer is a tailored approach where we aim to meet your aspirational needs but one that does not ignore your budget. Our services are explained in more detail below. If you have any questions, then please contact us. We would love to hear from you and be given the opportunity to discuss how our services can benefit your business. Every business is different, and this means the approach to promoting, managing or selling on-line is also different. At pivotplusdesign we take a unique approach with every client, because there is no single approach that fits everybody. Do you want to update the site yourself? A Content Management System (CMS) is ideal for this purpose. We recommend Wordpress as it is the worlds most popular CMS and has an amazing array of features. It allows complete control over your site, allowing you to create and edit, but also giving you an astounding range of tools for enhancing your sites appearance and performance. We are flexible in how we deliver Wordpress to you. We can provide a basic solution, leaving you to take control of the software to do with as you please. 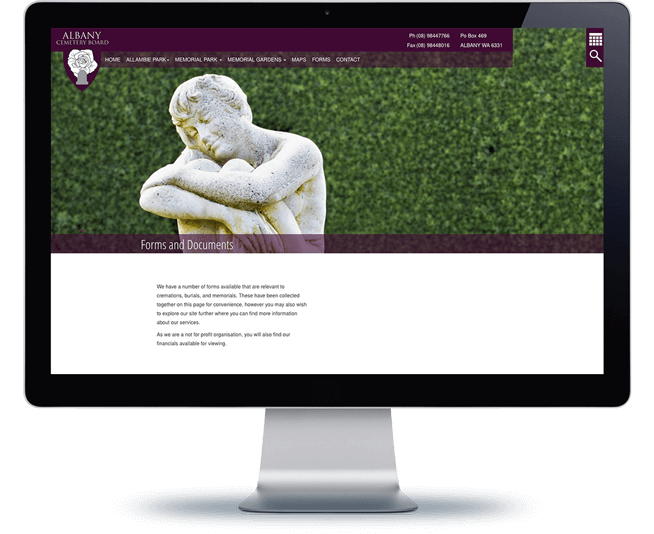 Alternately we can design & and build your site for you, leaving you just to update the content. Finally we can integrate Wordpress into a comprehensive identity and marketing strategy, managing all aspects of it in consultation with you, but leaving you free to focus on other areas of your business. Already have a Wordpress site? Are you getting the support to ensure you have security updates and backups as well as Search Engine Optimisation, or have you just been left out in the cold by your web designer/developer? All of our wordpress solutions offer support and add-on services. Do you or are you planning to sell on-line? If you are selling on-line you might need a shopping cart which is fully integrated with a Blog, CMS & Social Media. We can assist in setting up a pay as you go e-commerce system such as Shopify, or we also have pay up-front self-hosted solutions, providing you with more independence. 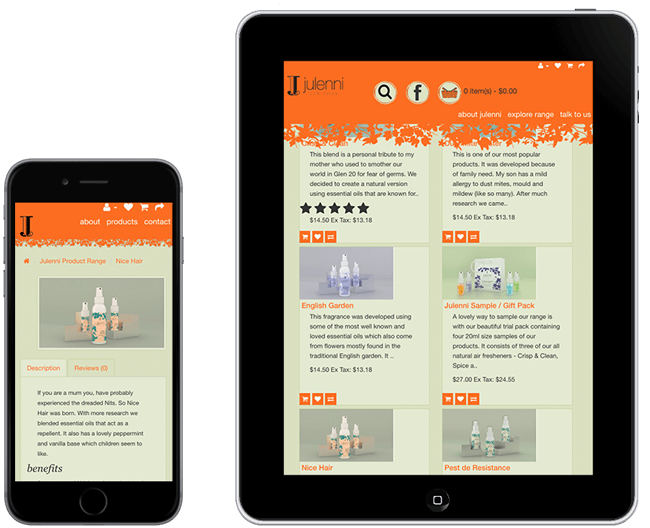 Is your site responsive to modern browsers and mobile, tablet and desktop devices. Responsive design is about ensuring that your site is optimised for modern browsers and devices such as mobiles phones, tablets, desktop computers and other devices which can be used to browse the web. Our web design process embraces responsive design as a core requirment of every site we make. Google now penalises the search ranking of sites which are not mobile ready, so you really can't afford to work with a web designer unless they truly understand how responsive design works. Have you had a website built, but are now left "Out in the Cold"? Even the simplest website is just an overpriced advert if it isn't followed up with a strategy for getting it visible to others on the web. We offer individualised solutions on how to integrate your website, Social Media and Email to create a comprehensive Marketing strategy for your business? What do you know about web hosting? Probably not much, and that is OK as long as you have trust in the company providing your hosting. When purchasing hosting many compare a few simple statistics such as the amount of data storage and bandwidth. However there is a lot more to it than that, and we have researched extensively to established partnerships with companies from Australia and overseas so that we can provide a quality hosting service. We offer fast and reliable hosting options with comprehensive tools to ensure your site performs at its best. Tell us about your website requirements and we can provide you with a quote on a hosting package which best matches your needs. These are only some of the questions we consider when discussing your website needs. We will work with your budget to maximise the potential outcomes for your business. Contact Us to find out how we can create or enhance your on-line identity. The team at pivotplusdesign have years of training and experience as artists and designers. This allows us to provide highly creative outcomes with a strong underlying sense of design. We can design individual promotional items such as brochures, logos or flyers through to creating a completely integrated identity across both print and digital mediums. Contact us to find out more or discuss with us your Graphic Design requirements. The image of your business should not only be appealing, but should also say something about who you are. You want to try to achieve an image that provides quick recognition allowing you to stand out from your competitors. Developing a brand identity will enable you to do these things and pivotplusdesign are here to make it happen for you. A strong identity is only half of the story. Making people aware of your identity and associating your products and services with that identity is the next step. At pivotplusdesign we will work with you to develop a marketing plan that is appropriate to your budget. Our services are scalable where you can maintain a steady marketing campaign, but also give it a boost to take advantage of peak periods relevant to your business. Do you have an idea for something different? Maybe we can help market your idea, or possibly even help you build it. We have been able to create some truly unique projects working in partnership with our clients over the years and look forward to new opportunities to continue to innovate. We would love you to tell us about your idea and discuss ways in which we can assist. VR (Virtual Reality) development. ie. simulations, training & games. We have just started exploring this technology and are looking for partners to help us expand into this area. Paul & Deborah own pivotplusdesign and like most small business owners, they are aware of how difficult in can be to balance sales, quality service, staff, book-keeping, marketing and all of the other aspects of running a successful business (Oh! and having a life fits in there somewhere as well). Marketing often sits as one of the least favourite parts of what must be done to run a successful business. Marketing can be off-putting because many feel uncomfortable about how to go about it. Creating a business identity can feel like an excess or luxury. People often think that it is either something that only larger business or companies can afford to do or something that they will get around to when they have time. Either way having a strong business identity can seem unattainable. Paul & Deborah believe that an identity is essential, and it is attainable for every business. They love working with people to learn about their business. In doing so, they can help your business develop an identity that feels natural and authentic to you and also has strong appeal to your customers. If you would like to know more about how Paul & Deborah do things, then why not follow pivotplusdesign on Facebook. Pivotplusdesign is a creative agency based in Albany, Western Australia. We have been producing websites, graphic designs, and many other innovative creations for well over 15 years. The 'pivot' partnership are husband and wife team Paul Kelly and Deborah Mulvey. They came together through a shared passion - studying visual art. They have both pursued careers which involved them in creating visual imagery, and eventually they both ended up teaching in Visual Art and Design. As designers and educators, they have shared their passion for creative expression not only with their clients, but with their students many of whom have also become artists or designers. Now focusing on client work, pivotplusdesign is Paul & Deborah’s digital creative business. The fact that no one has done it before is not a warning to sit with the crowd in silence, but rather an invitation to get up and dance. Paul thrives on challenges that take him to new digital realms. At a young age he discovered the creative potential of digital technology and got hooked on the hard-stuff - art and coding. As far back as owning a Commodore64, Paul was creating pixel/ASCII art and programming simple games. Later on Paul studied Visual Art, and although he loves working with physical media such as charcoal, pencils & paint, the lure of digital creation is what kept pulling him in. Over the years he has created animations, 3D digital art, and photo-composite work. For more than 15 years Paul has been working with pivotplusdesign as his professional outlet for marrying visual creativity and programming. He has combined these areas to create countless website, and also innovative applications where often all of his skills in photography, animation, 3D modelling, visual design and programming come into play. Paul discovered design many years ago and has been an avid student ever since. For Paul, design is a philosophy rooted in discipline. It has allowed him to take his creative energy and provide it with focus and purpose. Creating the best possible product while achieving his clients goals is what inspires Paul every day. Where others will see nothing, Deborah observes, experiments and then unlocks the creative potential in even the most mundane things. Deborah at her core is an artist. She has studied fashion design, Visual Arts and Graphic Design and continues to create in all of these areas. She has exhibited and had commercial success with her art, selling paintings and textile/sculptural works. As a designer and design teacher, Deborah has become fascinated with typography. It goes back to seeing the potential in what other people see as mundane, however Deborah would argue that working with text is far from mundane and sees it as an acquired passion. Deborah’s love of type has made her eagle eyed when it comes to design. As a teacher, her students were often amazed at how she was able to spot a piece of misaligned text from a distance and at a single glance. Deborah has recently expanded her area of knowledge into social marketing, and now engages with clients in developing strategies for increasing their customer/audience base. Combining marketing and visual design allows Deb to provide clients with a competitive edge, as these two disciplines work best when developed in awareness of each other. For us 'pivot' means transformation. In digital space the pivot point (often represented by a plus symbol) is the point by which an object can be rotated, moved or scaled. Often this point will be located in the centre of an object, however radical transformations can take place by relocating the pivot point in relation to an object. By moving a pivot point outside of an object, rotation becomes orbit. A planet will rotate around it's axis, however the same planet may also orbit around a star, in both cases a point of transformation exists - a pivot point. We love how such a simple word can describe something with such transformational potential. This idea of transformation underpins our creative philosophy and our approach to our work. Visual transformation is at the core of what we do. We take an idea and transform that into something real. In a very practical sense - our clients goals are the pivot point by which any branding and promotional strategy must form. However just as a pivot point does not have to be in the centre, changing the way that we look at a clients goals can result in radical transformations. Sometimes this means approaching your goals from a different angle, or it may even mean redefining what those goals are. We try to do this in an authentic way, by ensuring integrity in our approach and honesty about expected outcomes as these values are pivotal to our philosophy about how and why we do what we do. 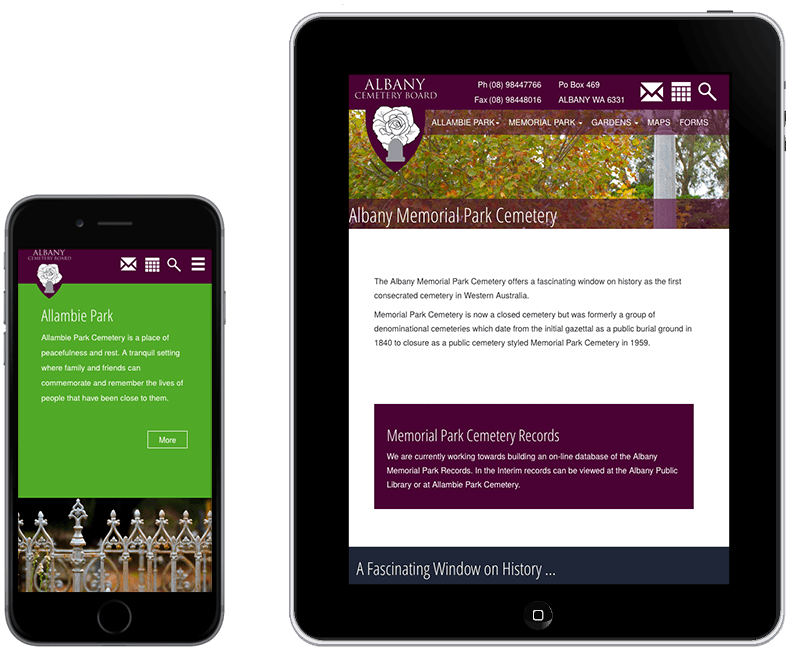 We worked extensively with the Albany Cemetery Board to Design and Develop a website which seamlessly integrated all of these features into one appealing and intuitive website. Auspan Group are the specialists in shed and steel frame design and construction. 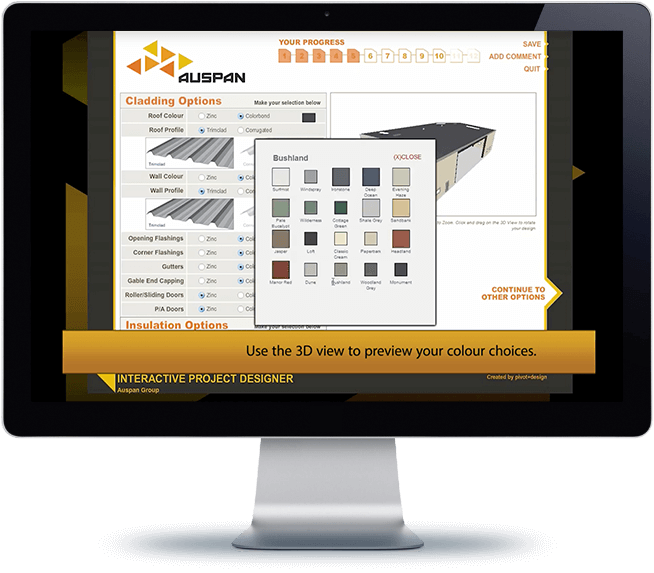 We were tasked by Auspan to design and develop an interactive 3D design application which could run on-line, directly from their website. Existing and potential clients can login into the custom built design manager which stores designs against customer information. 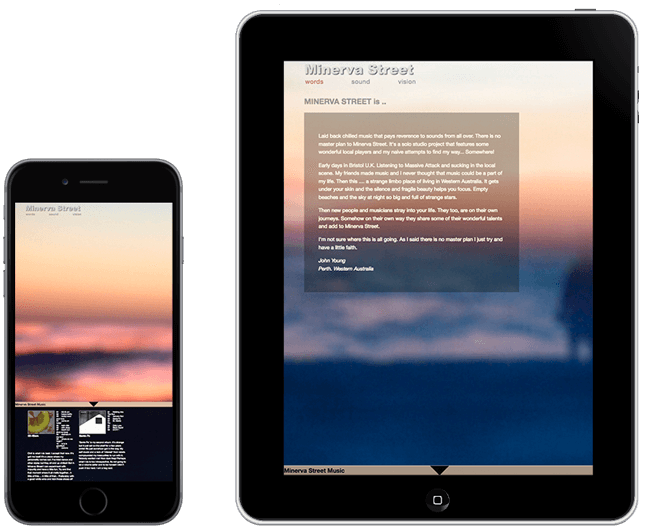 The application can then be launched to edit existing designs or create new ones. As they design their structures clients can see a live 3D preview as they go. This job is an example of our ability to leverage on-line technology to create something that is completely custom designed and built. 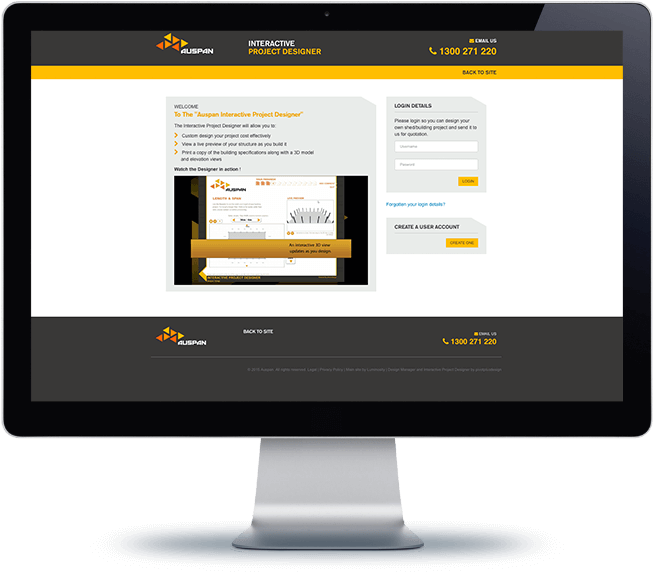 We went through an extensive design phase to ensure we created an optimal interface that met both Auspan and their clients needs, and then developed the application from the ground up, creating something dynamic and innovative. 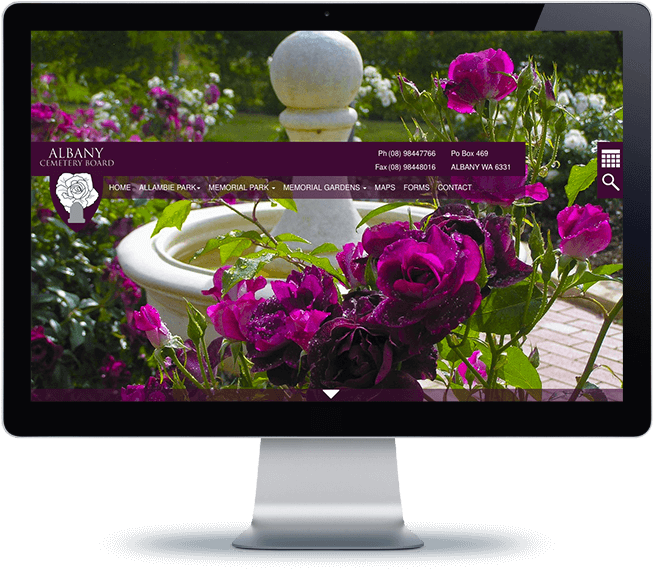 We have worked with the City of Albany on a number of occasions to create digital conceptual visions for potential designs, proposals and initiatives by the City of Albany. The Eco Park was an innovative concept for a park designed to preserve local flora, but also provide an open and comfortable public space where people could relax and enjoy the outdoors. We were engaged to provide a series of 3D concept illustrations showing the park from a variety of views, and to produce a presentation for communicating the concept to the public. 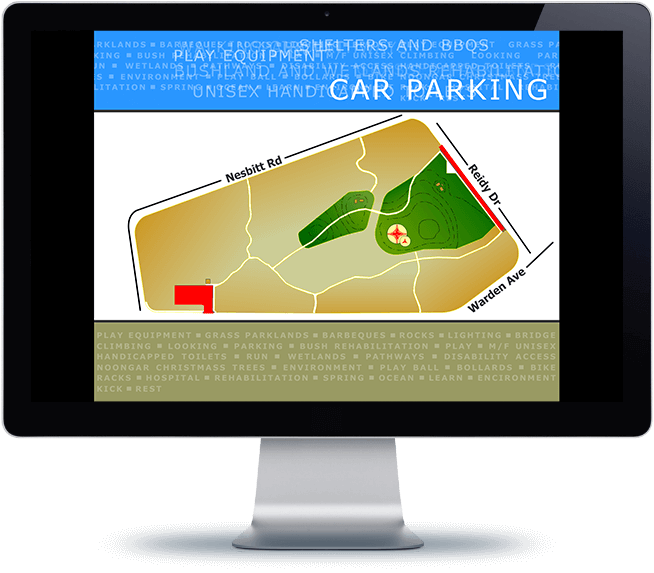 We chose to take a mini-narrative approach, first outlining the concept, then incorporating an animated plan of the park highlighting key features. 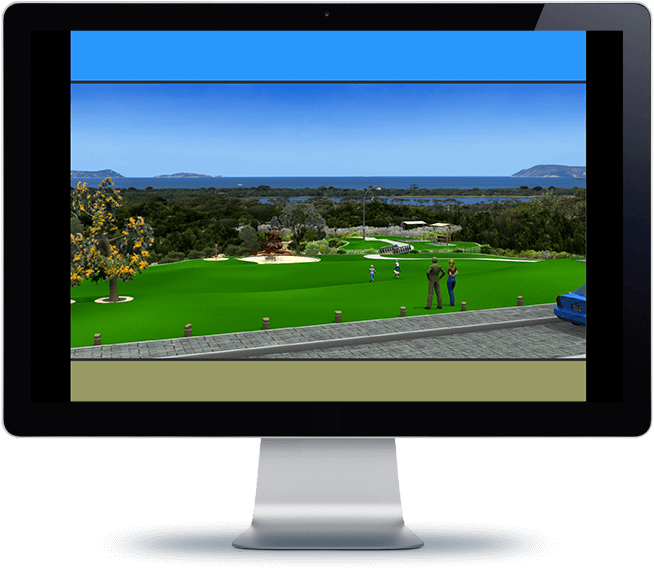 Finally we incorporated 3D images depicting an average family engaging with the park in its many facets. 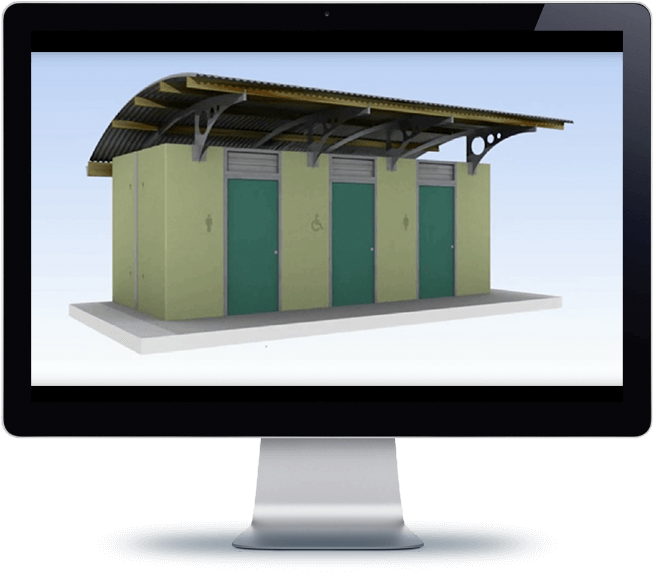 This was eventually assembled into a video for public presentation..
An animated Visual presentation showing the design, and construction and placement of an eco-friendly toilet design. We had a lot of fun working on this project. A toilet may not sound exciting, but this job provided us with an opportunity to show how even the most seemingly mundane subjects can be made to shine. The job involved a creating realistic animated 3D renders of the toilet depicting the various components coming together to assemble into the final structure. We then composited the 3D model into a landscape photograph depicted where the toilet would finally be built. 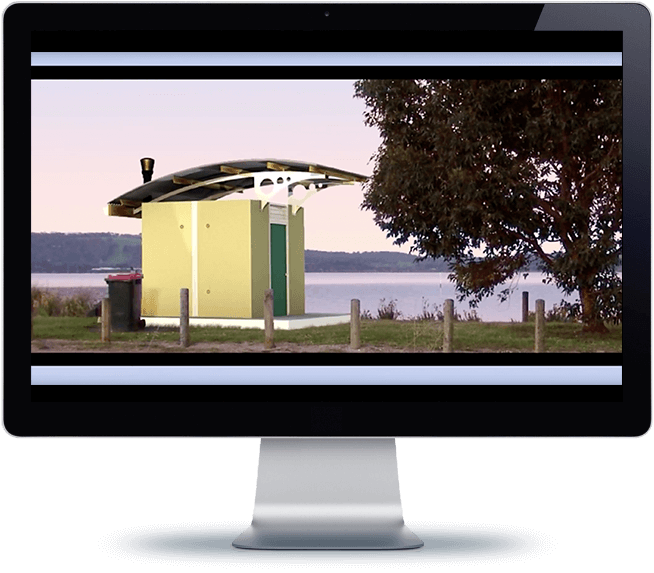 Finally we produced an animation illustrating the toilets innovative water-wise features. Our enthusiasm for this project resulting in us assembling the presentation into a captivating video. This video was shown at a national Design Award ceremony and assisted the City of Albany winning the award for their concept. Icky Finks were after a range of greetings cards featuring their signature "Fink" character. 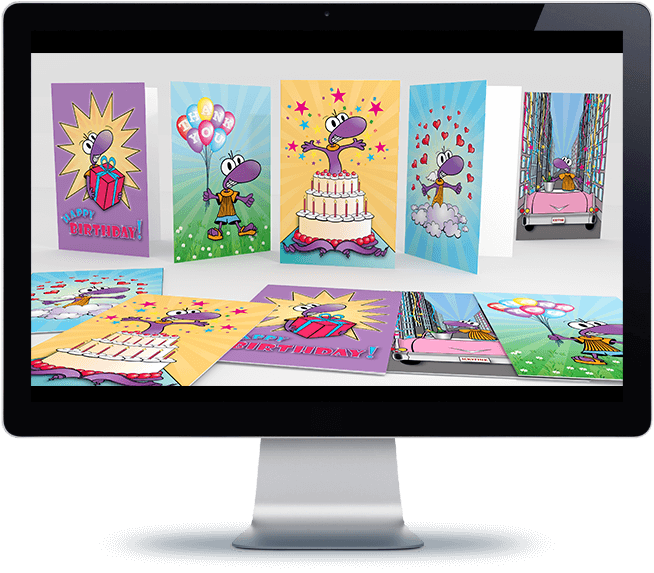 We created 5 simple illustration concept for a variety of greetings card occasions. All 5 concepts were accepted, and produced as greetings cards. 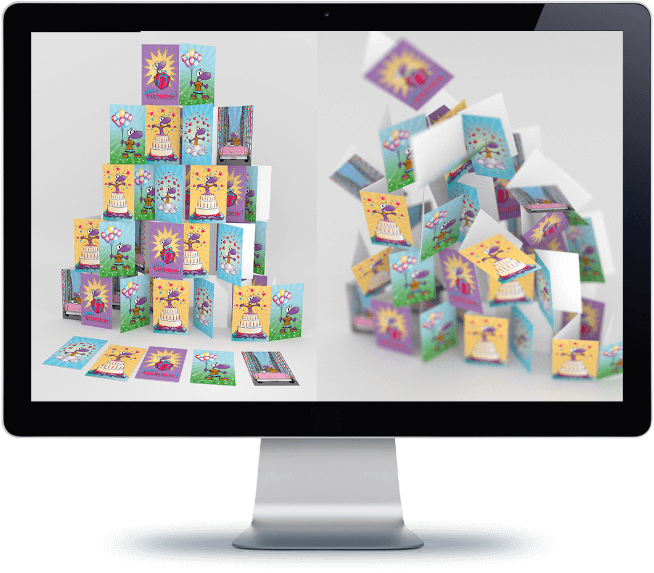 We also produced a series of 3D images designed to showcase the design and to provide an impression of how the 5 designs would create a colourful array of greetings cards. Julenni produce and sell all natural air fresheners and pest repellents, produced with 100% Australian oils. Their website is an e-commerce store, where all products are available and delivered throughout Australia and selected other countries. 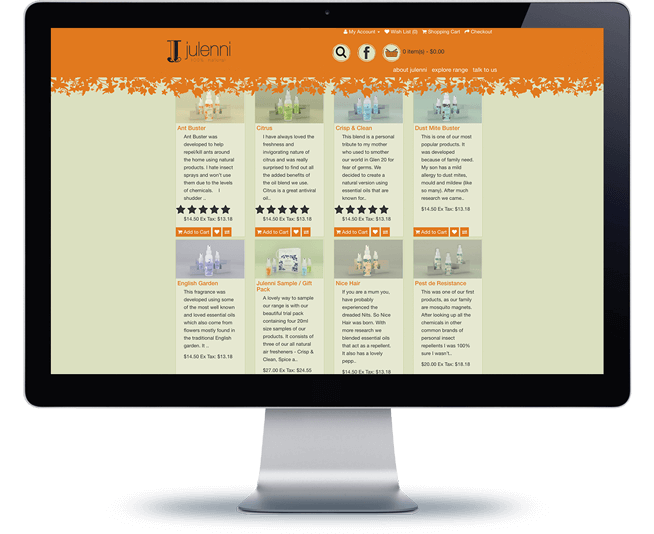 With Julenni we worked with RedSticksDesign to create the interface, and it is a good example of how we work not only work well with clients but also with other enthusiastic and talented designers to achieve great results. Julenni also provided us with an opportunity to create 3D rendered images of their products. All of the images you see throughout the website were created by us using professional quality 3D modelling and rendering software. 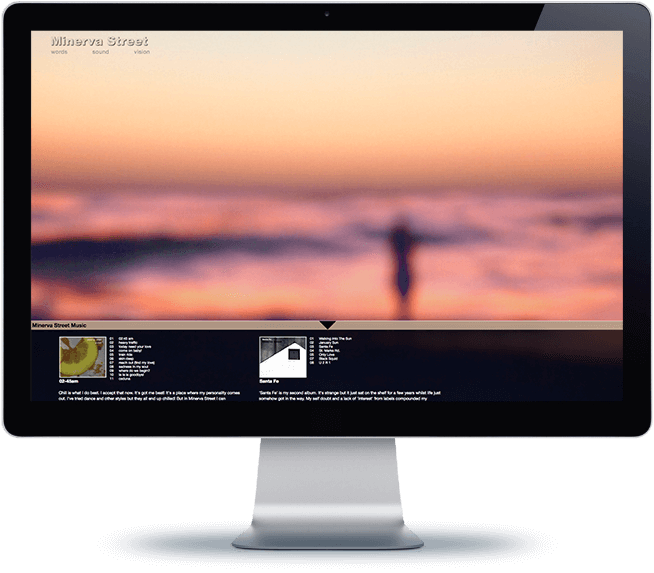 Minerva Street is the website of chill-out musician John Young. The brief was simple. Produce a website which would compliment the chill-out sounds of Johns music. John is also quite a talented photographer, and it became apparent that the best thing we could do was to keep it simple, by incorporating Johns photography into the site. The end result is a simple, but complete synthesis of sound and vision. 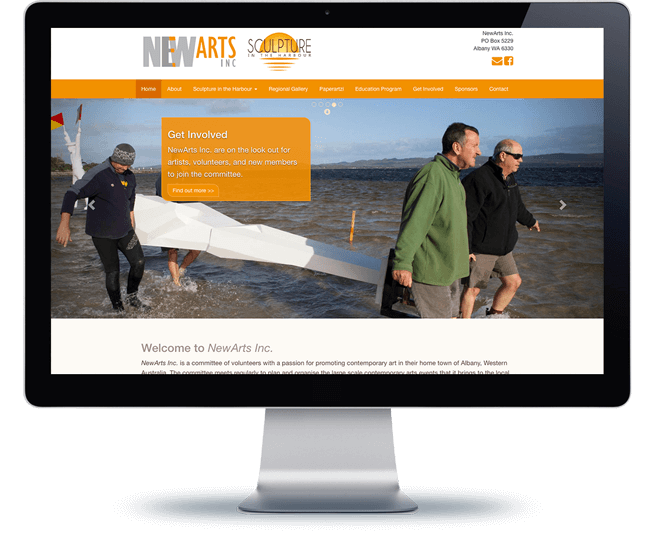 NewArts Inc. are a community arts organisation promoting the arts in the Albany region. Their premium event is 'Sculpture in the Harbour', however they have managed other events such as 'Paperartzi'. They are also working towards the establishment of a Class A Art Gallery for Albany. Their website needed to achieve a few things. Primarily it needed to inform the public about who NewArts Inc. are, what they do and their current initiatives, but also giving legitimacy to the organisation to attract sponsorship and funding. The site was also to act as an archive for the events that it has been involved with over the years. 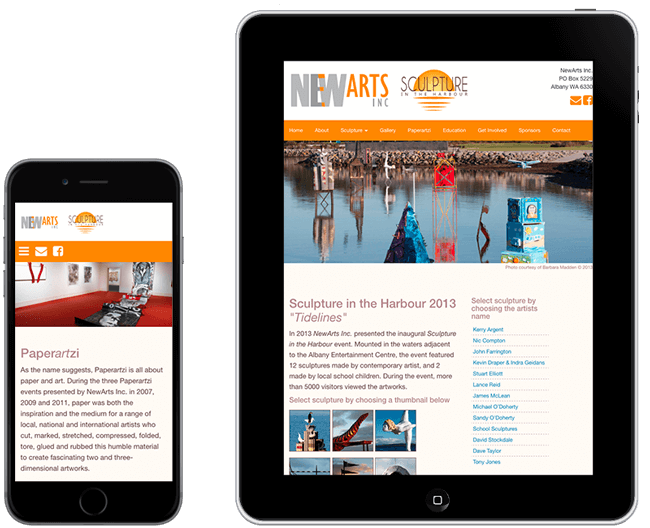 With the Sculpture in the Harbour events in particular it is now possible to view images of all of the sculptures on the site. Future events were also considered, with the ability to easily slot additional events into the structure of the site. 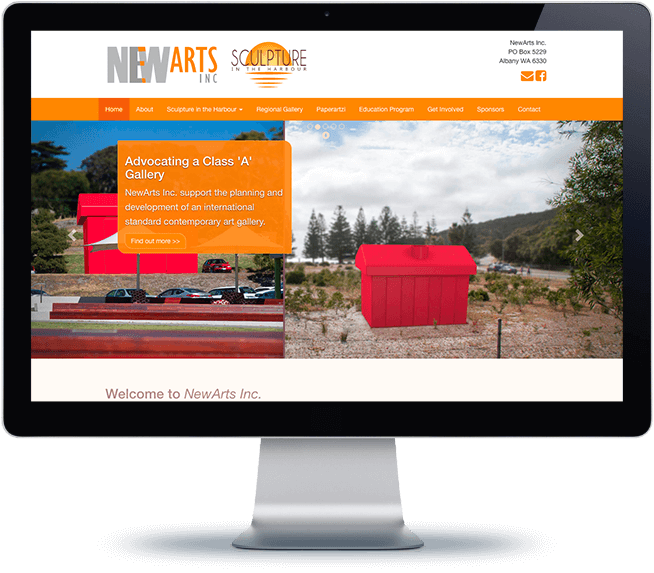 pivotplusdesign performed a simple branding service for NewArts Inc., producing logos, stationery samples and the website.